How would you rate your experience with Blue Apron ? 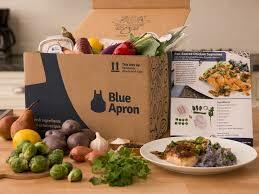 Blue Apron is a recipe and meal ingredient subscription service. Weekly boxes contain ingredients and include suggested recipes that are cooked by hand by the customer using the pre-ordered ingredients. Founded in 2012, friends Matt Salzberg, Ilia Papas, and Matt Wadiak packed the first boxes and delivered them from a commercial kitchen. Within one year, the company launched larger operations, first with a launching site in California, and later adding 3 additional sites. 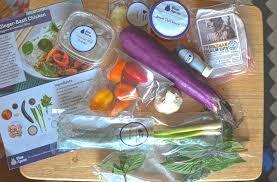 By 2015, Blue Apron was able to serve every state in the continental US. In 2016, Buzzfeed reported unsanitary conditions at the original launch site in California. The company attributed this to its “new” status and made the necessary changes. The company went public on the NYSE under the ticker symbol APRN in June of 2017. Since that time, Wall Street has cut the company’s stock price in half, which prompted Blue Apron to cut their staff by 6%. Company headquarters are located in New York, New York. Question 1: What is the phone number for Blue Apron? Answer 1: The phone number for Blue Apron is (347) 719-4312. Question 2: Who is the CEO of Blue Apron? Answer 2: The CEO of Blue Apron is Brad Dickerson. Question 3: Who founded Blue Apron? Answer 3: Blue Apron was founded by Matt Salzberg, Ilia Papas, and Matt Wadiak in 2012. Want to make sure Blue Apron sees your comment or complaint?